Visible light – the colors of the rainbow – represents a fraction of the spectrum generated by the sun. Wavelengths of light longer than the deepest reds we can see are the beginning of the infrared spectrum and are the subject of this portfolio. For several decades, photographers have been shooting film and, more recently, digital photographs in infrared light. 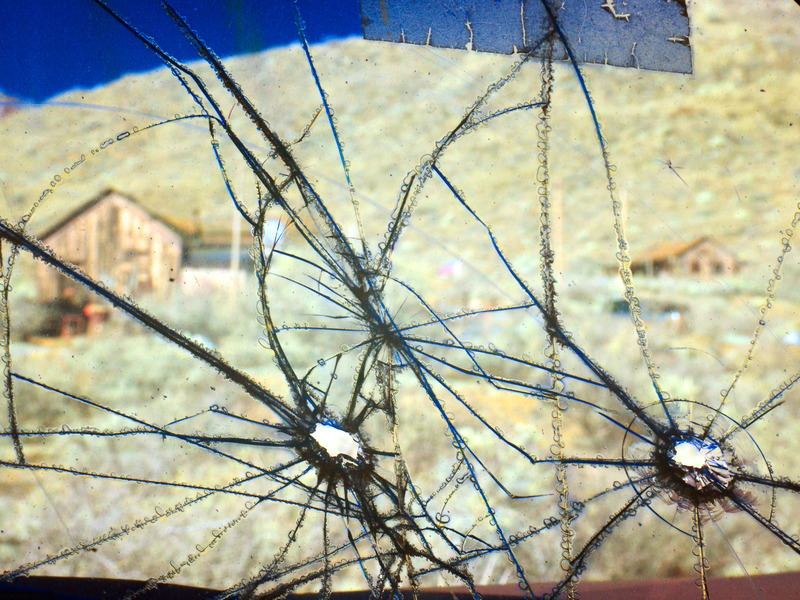 These photos have been limited to black-and-white and the false-color imagery of color IR film. Several years ago, I realized that a relatively unknown defect in digital cameras could be exploited to create infrared photographs that have the colors we associate with the everyday world mapped onto the tonal range of infrared light. The world in infrared is a strange one, but just as real as the one we’re used to seeing every day. For several years, I have photographed children with autism who attend May Institute’s special schools. The resulting work is a series of environmental portraits which opens a window into the life of these children that is ordinarily closed to the general public. 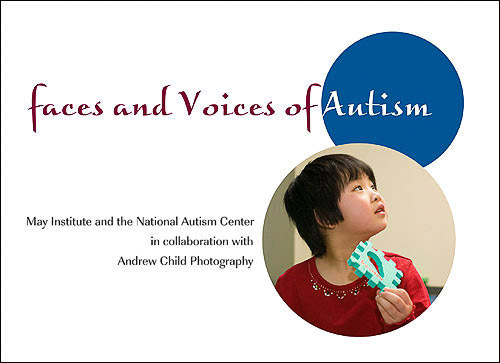 A selection of images from the traveling exhibit, ‘Faces and Voices of Autism,’ may be viewed in this portfolio. The truth is that before this project started, I couldn’t have named a single person with autism. It was just something I didn’t think about. Sure, I’d skim the occasional newspaper article on the topic but, if I gave it any thought, it wasn’t much beyond feeling some small sense of gratitude that my own family wasn’t affected. I walked around with the misimpressions of the fortunate ignorant: vague notions that people with autism didn’t have or couldn’t express emotions; curiosity about savant-like skills; and, the idea that an autistic mind was a place apart, disconnected, from the rest of us. These misimpressions started to change the day I walked into one of May Institute’s schools with a seemingly simple assignment — photograph from sunrise to sunset. I learned a lot that day. As I have every time I’ve photographed a child with autism. I’ve learned that blowing bubbles is a simple but delightful pastime. That Jeremy plays the keyboard by ear. Allison takes copious notes. Rossi likes goldfish crackers. Michelle enjoys giving gifts. Heather is having a bad day. Gabe seems bored with story time. Nestled between or maybe within these little lessons are some larger ones. I’ve learned that children with autism aren’t so different from my own ‘typical’ children. They have good days and bad, small distractions and big issues, the ability to delight and trains of thought I cannot follow. They have insights, tantrums, passions and loving relationships. They have families who are as profoundly affected as they are.